After only having signed Petr Cech during the summer Arsenal boss Arsene Wenger is preparing to bring reinforcements in when the transfer window opens in January in a bid to bolster the squad for what he hopes will be a run for the title. Top of Wenger’s wish list according to Spanish football news outlet Fichajes is Sevilla defensive midfielder Grzegorz Krychowiak. The 25-year-old Polish international has been in top form for his La Liga team and would be the perfect partner for Arsenal midfielder Francis Coquelin. Wenger apparently tried to sign the former Reims player during the summer and is aware that it will take a bid of around £21 million for Sevilla to consider cashing in on one of their best players. 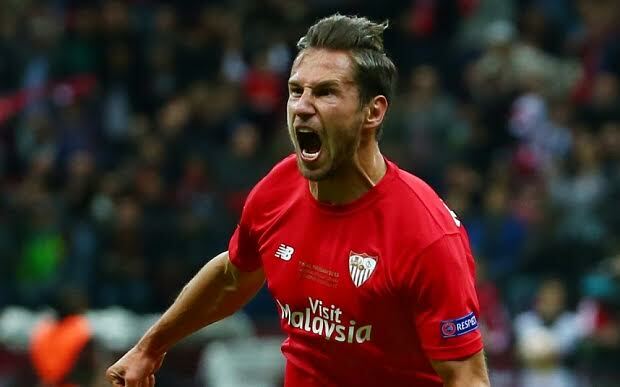 Krychowiak has refused to sign a new contract with the Andalucía club, which has also put Manchester City boss Manuel Pellegrini on alert as he also looks to bolster his squad as they too challenge for the Premiership title.